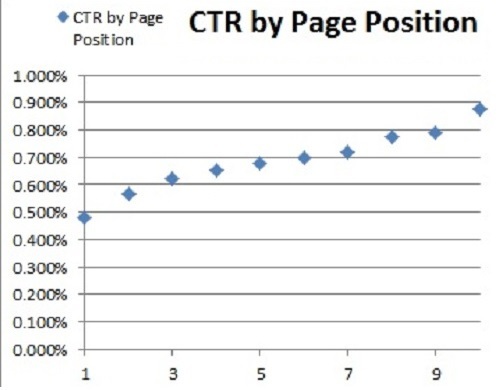 The Google CTR means Click Through Rate. A CTR may mean a lot of different things in different online arenas, but here it refers to getting people to click on your search engine result. When people look on Google for a certain website, they are presented with a list of results on the SERP (Search Engine Results Page). If your website appears in that list than there is a good chance your website will be clicked on, but it is hardly a certainty. This article provides a few tips that will help you to increase your Google click through rate. The Meta description content may be what people see on the search engine results pages. It does not happen very often, but it does still happen, so you need to make sure you are prepared for it. The description should be a short but marketable description of the page that it represents. Doing this is going to gain you a few more clicks when people see your web page link on the search engine results page. Any introduction to your website should be put at the very top of your web page. This is because every now and again it is the first few lines of your web page that are used to construct the page link description on the search engine results pages. So make sure that the introduction is at the top of the page, and make sure it is enticing enough to make people want to click on your link if they see it on the search engine results page. It needs to be descriptive enough to enable the search engine users to see what your page is all about, whilst not giving too much away so that it no longer becomes enticing. However, if you have to choose between enticing and descriptive, you should always pick descriptive. Just make sure it is not so descriptive that it potentially scares off your target audience. You need to find a nice balance. The title tag will tell the user what your page is all about when they visit. It may also appear on the search engine results page. Therefore, you need to be sure the Google search engine identifies the correct title. The title tag also helps the search engine to index your web page and guess what your web page is all about. This may even help to ensure that your page is seen by people who are more likely to click on your link on to search engine results page. You need to target a certain portion of the online population. Your website is simply not going to be able to serve every person that uses the Internet. On that note, you should be aware that certain people are going to use certain keywords. You need to identify the people whom you wish to target, and then optimize for the words that they are most likely to enter into the search engine. If your keywords cover a broad spectrum of ideas, events, possibilities or queries, then you are going to be viewed quite a bit on the Google search engine results pages. But, this also means that you are going to be overlooked on a massive amount of occasions, because naturally you are not going to be able to target every viewer. If you narrow down your keyword profile for every page of your website, then your website link will appear more frequently on the search engine results pages of people who are actually interested in your website. Shallow content is a waste of the user’s time and an inconvenience, and people do not forget it. The next time that they see your link on the Google search engine results page, they will assume you are offering your usual cobbling of weak content and they will not click on your link. Create usable web pages that people are going to be able to use and enjoy. High quality and original content will teach people to search you out on the search engine results pages. Websites full of affiliate advertising are going to set alarm bells ringing in the viewer’s mind. He or she is going to see your website link and description on the search engine in the future and is going to naturally assume that the page leads the information that is just a web traffic magnet. They are going to assume that you care more about website traffic than you do about website quality.